So does this mod work off the vga and the av out lines or does it attach at some kind of central video generating area? It taps into the digital signal path before it reaches the digital to analog converter. Just going from VGA to HDMI can be done externally, beharbros is about to put out a box that will do it I believe. Yup I have it on pre-order but I'm not happy that it won't work with the 49 games that don't work in vga mode (some of them are real gems) so this being able to have hdmi output for the standard av out as well as vga out makes it way more appealing to me. Also I assume as the vga to hdmi box is external and converts the signal (even if it is incredibly high quality) a native direct digital out with no conversion would be ever so slightly better (significantly better than a discount converter box for sure but I have massive faith in beharbros). As I cannot assume a gdemu is installed (which would give the required space to install anther board inside the DC), my idea to fit the final HDMI board into the dreamcast is to replace the original power supply with an combined HDMI/power supply board. 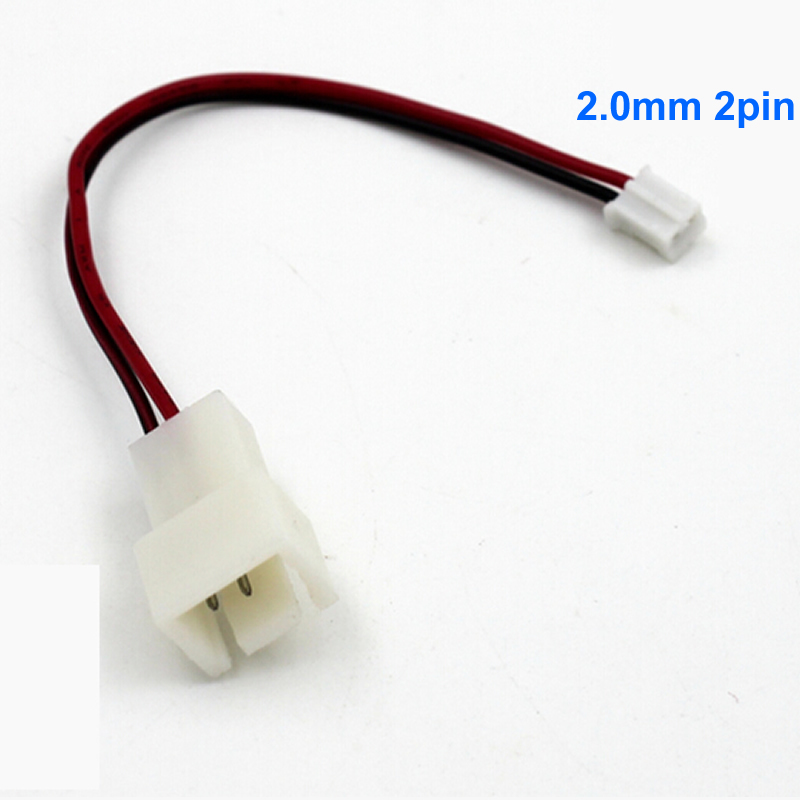 It would be powered by an external 12V adapter and generates the required DC voltages from it. As the heat dissipation of the original power supply is significant, it should also be possible to reduce the speed of the fan (or even disable it). Sounds good to me but if possible don't make it so the block is attached to the plug and it blocks like 3 outlets just to plug it in because that really ticks me off. Also for those of us with gdemus will this get in the way of our 3d printed trays? I think I will be able to build something that will fit but will have to use a HDMI mini connector. 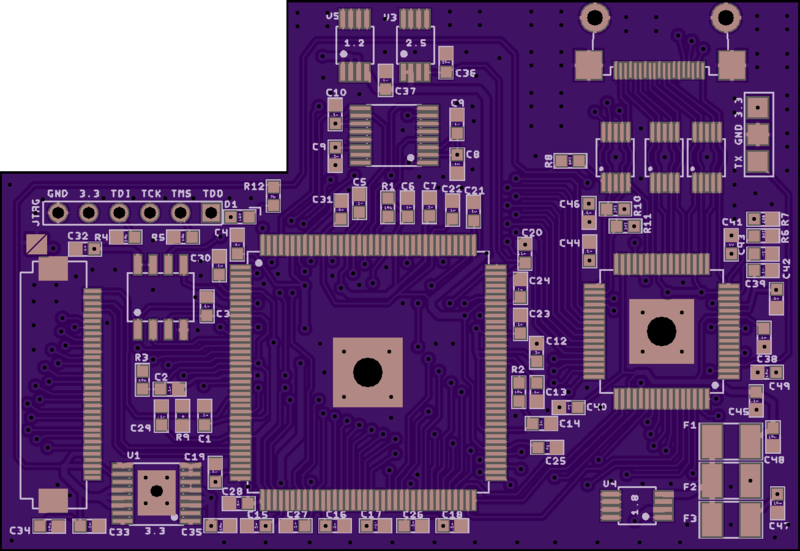 I sent a QSB test board off to oshpark last week. I'll see what I can come up with. My only concern with a new power supply is additional cost really. I think the board for the NESRGB Famicom install adds like $40? If an assembled FPGA board comes in around $70, the price is getting up there. EDIT: This makes me sound less excited than I am, great work on the project. Last edited by bobrocks95 on Tue Apr 25, 2017 9:37 pm, edited 1 time in total. Great! Can't wait to see the results! Got my test QSB's a couple days ago. The bottom copper layer was incorrect, as in I had bridges between the castellations. However there were no bridges on the top I could have cut them out, but not worth my time at this point. My goal was to see how easy it would be to solder the QSB to a .65mm pins spacing. Which I can say wasn't too bad. I modified the QSB a little bit more, and sent off for another 3. At this point I'm just testing the limits of the fabhouse oshpark uses. I could use seeed studio or similar but they tack on $60 bucks for castellations. So it would be a Dreamcast-only solution, not suitable for a Naomi system? Yeah castellations has a flat $60 tack on charge. A little more work, as I wait for my small test board. I getting closer to a finalized design. There will be 3 QSBs. One on the audio chip, one on the DAC and one of the video out. This is the main QSB I've designed up. My goal is to have all of the goods below the motherboard being fed with a 32 pin ffc cable from this qsb.. So is that the final revision then? If so have you got an eta on your first batch? Citrus can correct me if I'm wrong, but there's still the actual FPGA board based on chriz's schematic and possibly 2 more quick-solder boards to be made. If I misunderstood you and you just want the one QSB, I'm sure citrus could throw it on his OSH Park page. Ah yes, I thought that was the final product. My brain jumped the gun there. I now have to decide, if I try to support both the VA0 and VA1. 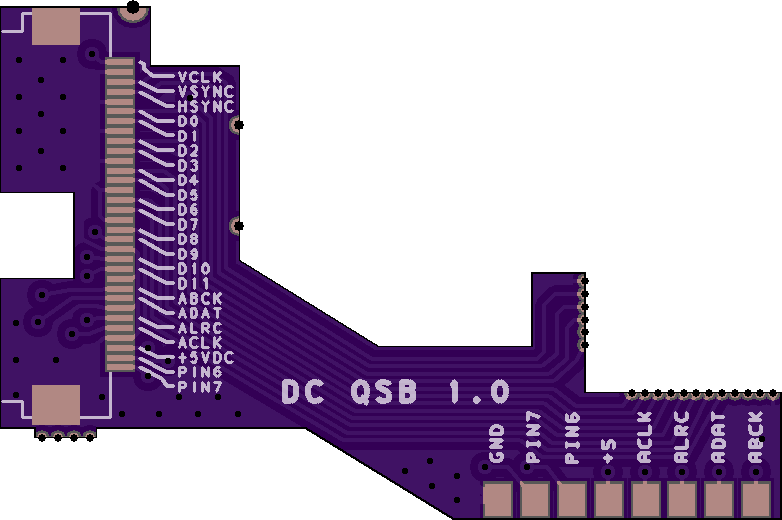 The QSB I have designed right now will only work on the VA1. VA0 has that thermo-resistor connector in the way. I'm okay with only supporting the va1 model. Afaik that is the only model the gdemu works with and it isn't like it is hard/expensive to pick up a dreamcast so the more efficient the mod the better imo. Would you rather spend ~$50 USD on ebay (not counting what you get for selling your old one) and have a simpler to install mod out much sooner or a mod that works on your console that could be a lot more complicated to install and would take more dev time? Bit of a loaded question since I'm not the one developing it (and a VA1 version can always be released sooner for the majority of DC owners; a VA0 variant isn't really holding that back). Can the heatpipe assembly be transferred between a VA0 and a VA1? This was my initial thoughts as well. Yes the heatpipes can be moved to a VA1. But the issue is that the VA1 has a RPM sensor for the fan and the VA0 fan doesn't have this. You can trick the RPM sensor with a resistor. I've always thought I could get the thermo-resistor to plug into that fan sensor using some logic from a small attiny MCU. On the new design you can see that the thermo connector pads will exposed and the FFC connector will go right over the top. Things will be tight but I think they will work will some small gauge wire. I also have other audio and A/V qsb's on the way. I've been working on the FPGA side of things. Its a tough design because the bottom can't have any components. So getting all the caps in the right place is proving difficult. I also want to keep the board a 2 layer. first of all, many thanks to citrus300psi for his great work on the QSB-Board and more! Sorry for the late progress report, but I was very busy last month, so no improvements on the firmware yet (e.g. scanlines in 480i/240p mode), but I managed to set up a build chain using docker (https://www.docker.com). For those of you running linux, there is also a solution for programming the firmware available (also using docker). You can compile/program the firmware without the need of installing Quartus Prime. I myself use it to autobuild the firmware programming files on "git push" via a gitlab runner (I'm pushing the git repositiry to gitlab also, to use gitlab-ci). from within the github checkout on a linux machine, or a virtual machine runnig linux. I tested this with an USB Blaster, which has to be connected to the Virtual Machine - if using that. I have some spare ADV7513 boards (ordered 5, but got 10), which I can send out (without components), if you want to experiment with it. If you are in Germany/Europe, I will send it for free. Definitely something we'd be interested in carrying. Are there any plans for selling flashed mod kits in the near-ish future? 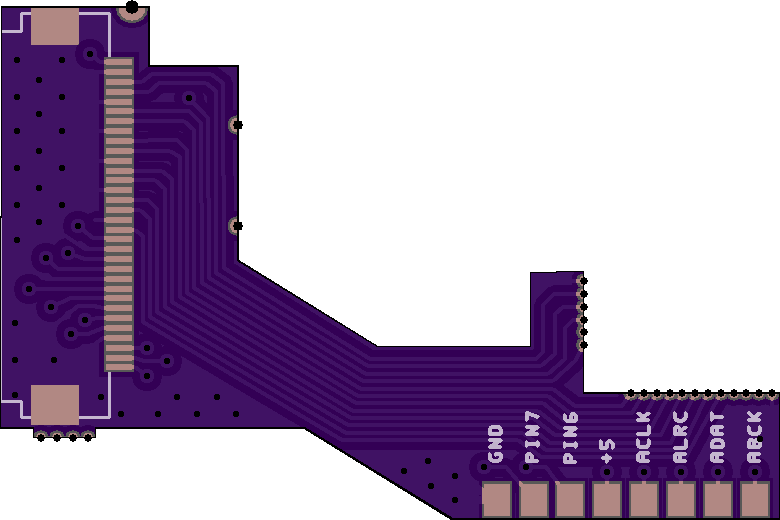 Here is sorta what the final PCB will look like. It will sit flat in the bottom of the DC. I still need to make some adjustments etc. I do want to finish my Wii and GC DVI/Analog designs before I start physically building this. It seems when I take on too many projects, nothing gets finished at all. There are some silk screen problems, and this is a test board so the thermal pads have large vias to make soldering easier; don't need to reflow the FPGA/HDMI chips to install. Things are pretty tight on this board, as I like to make things small as possible. I may "loosen" things up in a later revision. Hey guys, just found out about the project and it's looking great. Does the "final" revision include the power supply integrated? Or do we also need something like the Pico PSU or the DreamPSU on indieGogo? Where are you planning to bring the HDMI connector through the case? Bring this thread back to life. Over the weekend Chriz2600 assembled that PCB that I designed. He found some issues, mainly some missing pull ups on the I2C lines of the ADV. But he got it working and said he's happy with the results. I updated the design with the fixes and also have a mounting idea in the works (In theory I think it will work, but we shall see). I just ordered boards from elecrow today. Not sure if I'll beat the Chinese new year. The plan is for the HDMI connector to sit below the motherboard and above the metal shield.